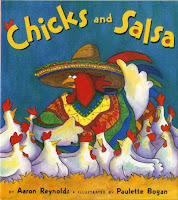 CHICKS AND SALSA by Aaron Reynolds, illustrated by Paulette Bogan (Bloomsbury). When I first opened this book, I thought, "Dommage! Ca, ce n'est pas bon pour à haute voix," which, if my hackneyed recollection of high school French is correct, probably means "dang it, this isn't good for reading aloud." The handwritten pages are splayed with text veering from handwritten cursive to print, information boxed off helter-skelter and doodle-y artwork plopped down at will with text squeezed in around it. If I didn't know better, I would have thought I was looking over my notes from one of our teacher's meetings. Yes, I am aware that crazy, swirly lettering that makes a flipping concrete poem out of three-fourths of everything is trés trés chic (oh, thanks a million, Lauren Child), but librarians everywhere already have a hard enough time reading sideways, without creative people deviating from the road map of conventional page layouts and fonts, thanks anyway. But if it is not initially a great read-aloud, it is a superior read a-quiet. 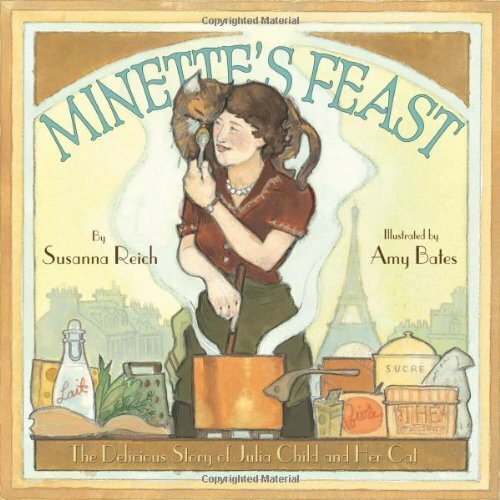 Pages packed to distraction with lively art and action are as hard to stop consuming as the buttery sole menuiere served in Rouen to Julia Child, revealed in the book as a transformative meal on the road to sharing her love of the cuisine through cookbooks and television. 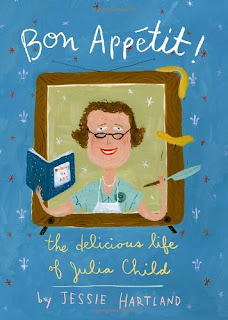 Three things about this book are especially delicious: 1) not only does this book document well the hard work and serendipity that made Julia Child a culinary icon, it captures a freewheeling, spontaneous and joyful effervescence that is hard not to trust as a good reflection of the book's subject and 2) it also really shows, apart from being a gourmande extraordinaire, what an amazing world traveler and adventurer Julia Child was, especially for the time in which she lived. The bottom of the pages serving as a sort of passport for readers to check the geography of Julia's latest chapter. Most of all, 3), this book takes a subject and a story, full of editors and travel and falling in love and a double-page play-by-play of the creation of a galantine in aspic, which might be a bit sophisticated (sluggish?) 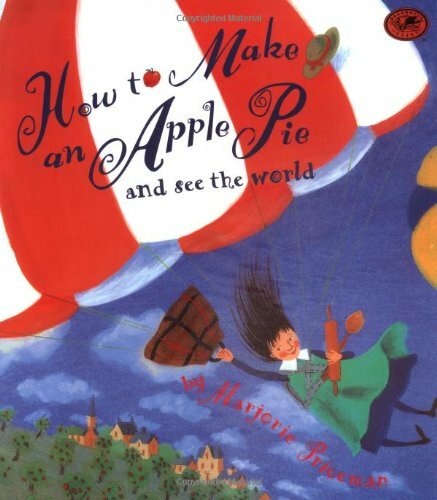 for the picture-book palate, mais non, Hartland deftly seasons it to age-appropriate taste. 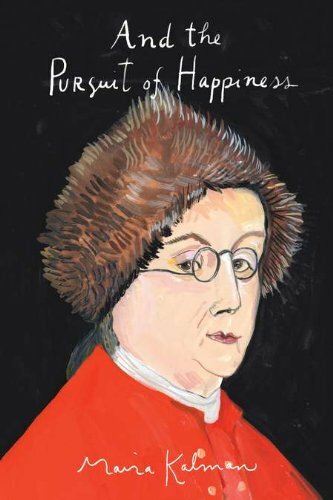 Fans of Maira Kalman's boxy, folksy, stylized art and Marjorie Priceman's propensity for twirly-whirlies will find Ms. Hartland's style trés charmant, and being among those fans, I concur. 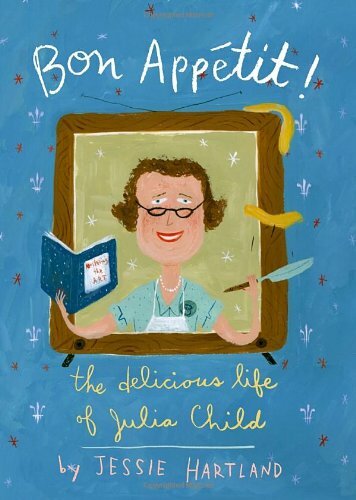 I loved Julia's affection for cats told wordlessly in the illustrations, the coquettish backward-facing eyeballing between Julia and her husband/beau, and most of all, Julia Child's quote: "Don't apologize for your cooking mistakes. It is what it is." That page alone, and certainly that lesson, is worth twice the price of the book. I was wrong to wrinkle my nose at what I initially saw being served. 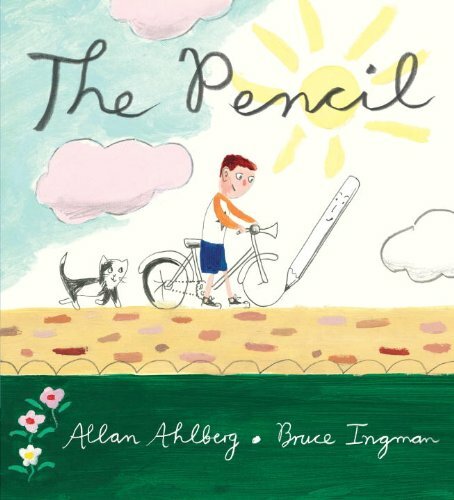 If you release expectations of a conventional picture book read-aloud biography and approach it more as a graphic novel, all cupboards will open for you. And while reading to one's self is probably the preferred mode here, don't abandon all hope of group sharing; just as Julia Child had to make recipes over and over to discover the very best way to do her art, it may take a little practice to get the lay of the pages' landscapes and achieve a signature perfection at storytime. Worth any extra effort by readers, this book is an inspiring homage to more than a master chef, but a master at being alive. 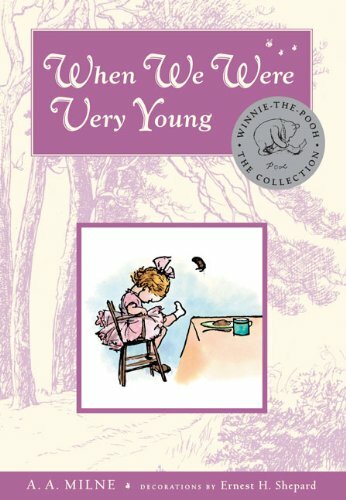 Both children and adults alike will undoubtedly come away with some dreamy aspiration: "hey, I would like to throw a party...I would like to travel...I would like to be a spy...I would like to write a book..." Just remember, Julia did it all. Thanks for the reminder, Jessie Hartland. Bibliographies, links and leads comprise backmatter/dessert. Yum. 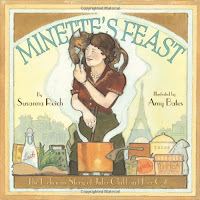 MINETTE'S FEAST: THE DELICIOUS STORY OF JULIA CHILD AND HER CAT by Susanna Reich, illustrated by Amy Bates (Abrams). 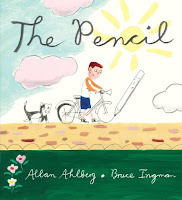 THE PENCIL by Allen Ahlberg, illustrated by Bruce Ingman (Candlewick). 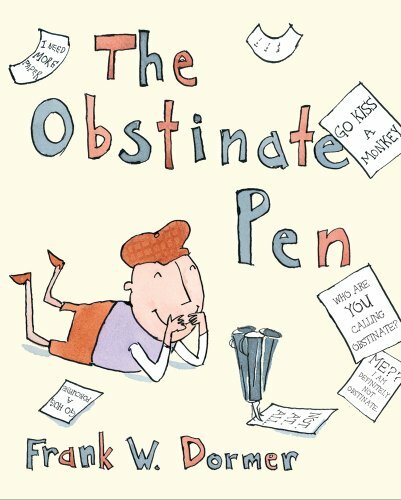 Speaking of obstinate pens and accommodating pencils, thank you for your patience as I temporarily fell off posting on my own Planet this year, working full-time (ha ha! That's putting it lightly!) as a Chicago Public School teacher/school librarian, and finishing my master's degree in Library and Information Science from UIUC. As my dear friend Diane put it, "now you're not a common law librarian, you finally got that piece of paper everyone cares so much about." 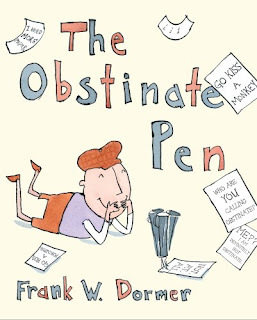 Perhaps I should write a children's book, The Elusive Paper. Perhaps not. Probably not. Not. But I will try at least to tap The Overtired Keyboard more often, and catch up with some Books du Jour; descriptions may be brief, but at least you'll have a few lovely new read-aloud leads. Yours truly. happy book birthday to you. 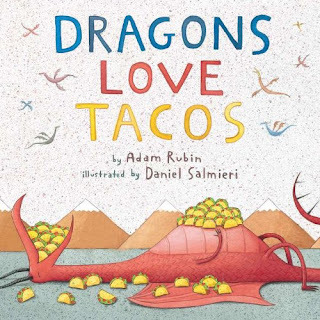 happy book birthday to you! 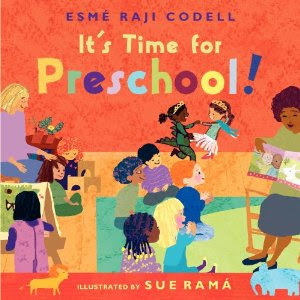 I am so pleased and delighted to share with you my latest picture book, IT'S TIME FOR PRESCHOOL, illustrated by Sue Rama (Greenwillow). If you browse the pages, you'll see what truly genius job Sue Rama did in bringing the sort of colorful supersaturation of new experience to the pages. My hope above all was that the artwork would look "juicy," with the kind of expressive abandon that might be splayed on a tempera-covered easel...I had hoped that anyone looking at the art might be able to practically smell the wood chips in the guinea pig's cage. 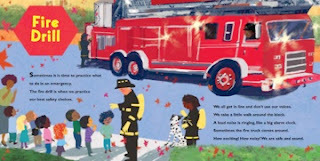 I also hoped the pictures would allow every child who read our book to visually identify with the preschool scene, and feel like they would be a welcomed part of it. Kind of a tall order. Rama nailed it. It's called It's Time for Preschool because it is, in fact, structurally very focused on the idea of time, which is so novel and fundamental to newbies on the planet. One of the great accomplishments of any preschooler, I think, is adjusting many new transitions that have to be made within the structure of school, and becoming cognizant of and learning to trust the idea of time passing, as children look forward to "what comes next," activities and time with friends, the special delights of each season, and being apart from people they love for a while before reconvening at the end of the day. I think my favorite spread in the book is for "circle time," which Rama cunningly arranged almost like a wheel...around and around it all goes, the seasons as well as the turns we take between each other, listening and talking. In writing this book, I tried to keep a conversational tone, so that the child feels they are being taken by the hand by a new best friend, a young and more experienced guide eager to share all the parts of this magical new land to which they have been led. 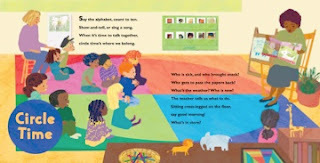 I tried to listen to and capture the inherent musicality of the early childhood classroom in creating the text: the cadence runs from the joyful staccato shouts of the playground to the internal rhyming hum of a class running well at all the learning stations, to the out-and-out sing-song of the teacher, leading us from one part of the day to the next. I tried to encourage reassurances that I know to be important to small children, such as that someone will always come and pick them up, and that they will know where the potty will be located if they need to use it, and what to do when the day departs from routine, whether because of a field trip or a fire drill. It's Time for Preschool is a longer book. I knew it would be, going in, because my editor specifically asked me to create something that would walk, not run, though child's day, giving enough detail to truly prepare, excite, and relieve its audience. 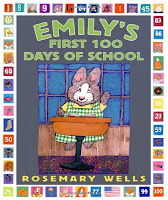 Even though I knew that might take a little more text than might be customary for an early childhood book, I didn't sweat it because I kept thinking of the great Rosemary Wells' EMILY'S FIRST 100 DAYS OF SCHOOL, which is mammoth at two pounds, sixty-four pages, and really pretty hard to even "do" in a single sitting. But it is comprehensive, and I remembered how when my own son was little, it was nice to have a book that covered all the bases. 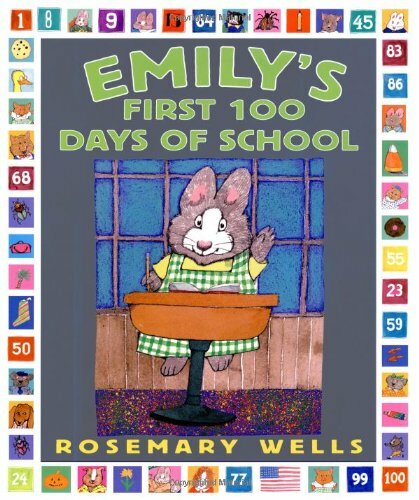 Further, I felt like Wells says and says and says what she wants to say about this little bunny-person's experience, until it's all been fully said. There's something really whole about that, an uninterrupted sharing between author and readers, a case in which "more is more"rings truer than the skimpier "less is more" credo. Another person whom I think was very good at measuring how long to take to say things to children based on what he had to say and not on any grown-up marketing or formula was Fred Rogers, one of my heroes and one of the people to whom the book is dedicated (the other being Josie Carey). So I didn't worry about the book being long, I worried about it being whole, and really written for it's intended audience. And I think it is. I created this book with the benefit of my experiences as both a teacher and a parent with a child who used to be very little (though goodness knows, when I look at him, he is always that little boy...much to his now-teenage chagrin). I am an elementary educator, and from that perspective, preschool for a long time seemed like a developmental period that goes by so fast and happens so early, the "little ones" might forget what we teach them. Now, after a little more exposure and training, I realize that early childhood is indeed ultimately forgettable, just the same way that all day long, we might forget that there is blood flowing through our bodies. Our experiences in early childhood are just like the blood in our veins: we carry it with us all the time, and it drives what we do and who we are, and definitely how we approach others and how capable we are of seeing ourselves as a part of a wider world. I have to say a few words of thanks to a few grown-up friends who taught me what I know about the younger end of the teaching spectrum and informed my approach to this book: Isabel Baker, an expert in children's literature for the very young, and independent bookseller through The Book Vine, and the patient and exemplary models at School for Little Children, who taught my son, and later, Baker Demonstration School, both in Evanston, Illinois. Since I worked at Baker for a while and it was my first hands-on experience in early education, I was mentored and scaffolded there by several great teachers, and one of them, Carolyn Tripp (since retired), became a particular inspiration. I still have dreams about Carolyn's beautiful classroom, full of live animals, including a gentle tarantula named Sarah and a huge tortoise that used to follow the children out to the playground and dig in the sand with them. If you wanted to find Ms. Tripp, you would have to duck your head under the clotheslines of drying art and past the tots in aprons at the water table, and squint for a moment to distinguish her from the children; she was always at eye level with them, sitting at a table on a low, low chair, dusting glue with glitter or mashing clay or counting raisins on cookies alongside them, a leader but also a partner in their joys and discoveries. I was so excited when I saw Sue Rama's illustrations, and they matched the jubilant, invitational spirit of Carolyn's classroom, and the classrooms of so many dedicated teachers. 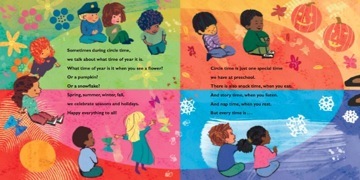 You can find helpful hints for teachers created by Carolyn on the back of the It's Time for Preschool poster likely available at the Greenwillow booth at NAEYC, and the book itself contains hints for parents with children entering preschool, written by me. I hope these are helpful, and that the book will be an occasion to have a leisurely conversation with someone small about their questions and experiences surrounding school, or used by teachers as a welcoming tool. It's time for reading! 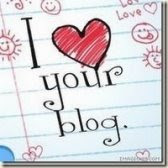 Links are provided for informational use. Don't forget to support your local bookseller. More Esmé stuff at www.planetesme.com.